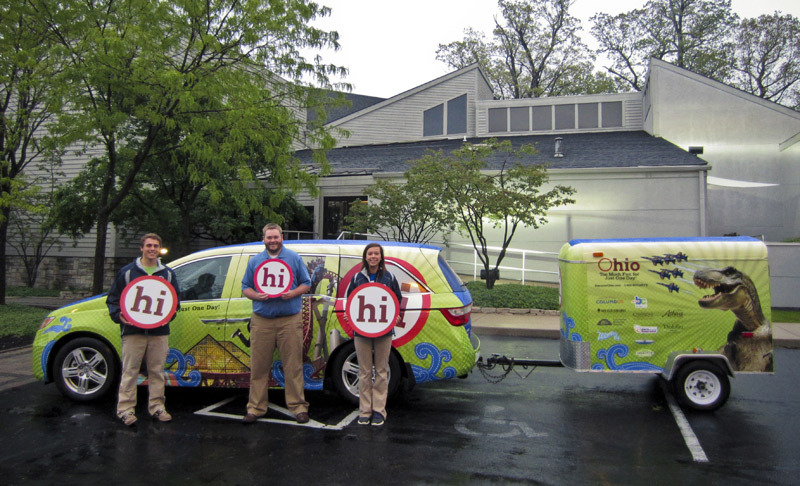 Here’s our Ohio Tourism team hittin’ the road for their first event of the season. The Too Much Fun-Mobile is off to Louisville for the Derby Marathon Expo to share the good word on Ohio getaways. Team Foth got their race on this weekend at the Safelite Challenge in Las Vegas, an amazing event raising funds for South African charity Afrika Tikkun. Here’s Mike and Marty catching their breath with Safelite’s Matt Johnson and CEO Tom Feeney. Way to go guys! Here we are! On our way to a presentation in Marco Island. Dave has graciously taken luggage duty in back so Kim can sit up front like a Princess. 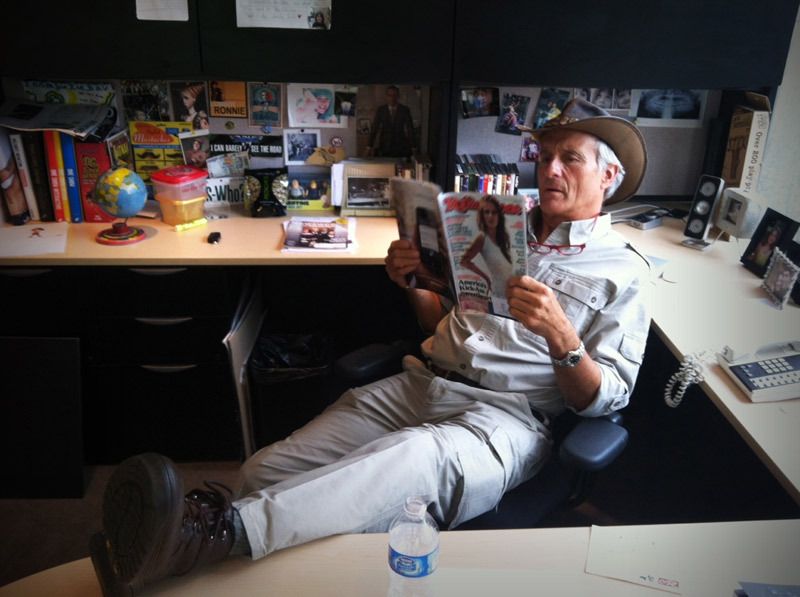 Just back from Africa, Jungle Jack Hanna stopped by the office yesterday and took over the reins of the creative department. Apparently khaki is the new black. Meet Josh! Our shadow for a day. 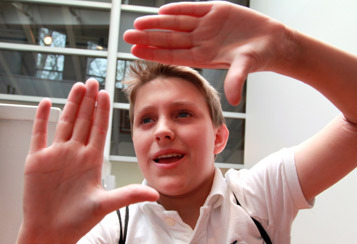 This 8th grader loves cinema, TV, and production as much as anyone. Hey Josh, remember us when you make it in Hollywood!